A Step Above Flooring & Installation, specializing in commercial and residential carpet, hardwood, ceramic tile, vinyl, laminate flooring and custom area rugs at competitive prices, opened an 11,300 square-foot facility at 9634 Inter-Ocean Drive off Muhlhauser Road. Airtron Heating & Air Conditioning, providing state-of-the-art, energy efficient heating and air conditioning equipment for all major manufacturers, opened an 18,878 square-foot facility at 9422 Meridian Way in Duke Realty's World Park at Union Centre (Downtown). All Rite Ready Mix of Miami Valley, one of the larger ready mix operations serving Southern Ohio, Southeast Indiana and Northern Kentucky, is remodeling a plant at 5259 Rialto Road. This 1,316 square-foot facility will be the company’s second plant in Ohio. The remodeling includes landscaping and environmental controls. ANEST IWATA USA, a Japanese manufacturer of air compressors and quality spray equipment, is expanding and relocating their existing facility to The Pointe at Union Centre located at 5325 Muhlhuauser Road (Union Centre/Downtown). The company has been actively involved in the spray equipment industry in the United States since the late 1980's. Additionally, the new division ANEST IWATA Air Engineering will open a new office under the same roof. ANEST IWATA Air Engineering is responsible for air compressors, vacuum pumps and nitrogen generators featuring an innovative oil free scroll technology. Both companies moved into the new 16,089 square-foot location on April 1 and will employ 17 people. 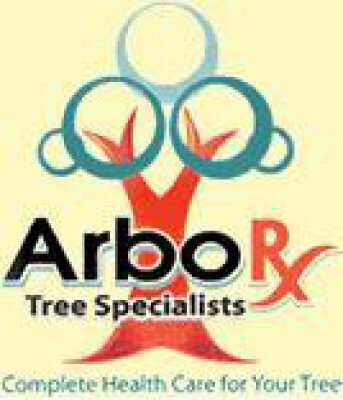 ArboRX Tree Specialists, providing complete health care for trees, opened a new 1,250 square-foot location at 8649 Cincinnati-Columbus Road (Route 42). The company specializes in tree preservation, health care and beautification. Other services offered include planting, trimming and removal. Artisan Mechanical, a leading mechanical contractor in the U.S., relocated to a 64,132 square-foot facility at 366 Circle Freeway Drive off Crescentville Road. Artisan Mechanical offers precision and expertise in pipefitting, welding, plumbing, and specialty fabrication for a diverse range of industrial applications. ATC Turbine, a division of ATC, a supply chain management and engineering services company, leased a 6,000 square-foot facility at 5146 Duff Drive off Princeton-Glendale Road/SR747. ATC's Turbine Division is an authorized GE distributor for Single Stage Industrial and Marine Turbine parts, as well as other hard to find mechanical and electrical parts. Aveda Fredric’s Institute, the Aveda Fredric's Institute (AFI) has been “developing future leaders in the world of beauty and wellness”™ since May of 1999 in their current Hyde Park location. This Fall, 2011 all corporate operations, education classes and student salon spa services will be relocated to the new, larger 27,000 square-foot facility in Voice of America Shopping Center (Uptown) that was previously occupied by Linens and Things. 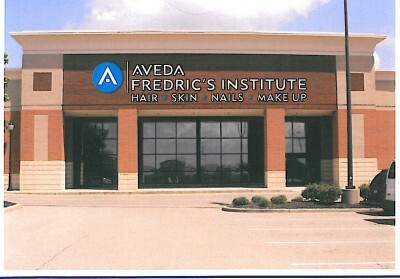 Aveda Fredric's Institute is a nationally accredited and acclaimed cosmetology school. The AFI program has produced three North American Hairstyling Awards (NAHA) Student Hair Stylist of the year winners and five NAHA finalists, has been a Better Business Bureau Torch Award finalist, and has appeared in various “Best of” issues of The Cincinnati Enquirer, Cincinnati Magazine, and City Beat. AFI students have provided hair and make-up creations for three major movies. Its Cosmetology and Esthiology students have, and will continue to participate in fashion shows with University of Cincinnati DAAP, Miami University Club of Fashion & Design, and community and charity events with the main focus of providing exceptional guest services as part of their interactive hands-on education experience. Students are supervised by licensed instructors while performing all services. Aveda Fredric's Institute is currently enrolling students. Baxter-Lane Furniture, specializing in wholesale furniture distribution, announced a 12,615 square-foot expansion to its existing West Chester facility located at 9679 Cincinnati-Dayton Road near Allen Road (Downtown). Baxter-Lane Furniture is open to the public and offers deep discounts off original retail pricing. Bay Logistics, a comprehensive provider of supply chain management services including warehousing, transportation, logistics, repacking, sequencing, quality inspections, light assembly, packaging, sorting, kitting, local shuttle, and inventory management. Bay Logistics opened its new regional facility on Circle Freeway Drive in the Capital Center development. Bay Logistics' investment in facilities, infastructure and IT systems allows clients to focus resources on core competencies and areas of expertise. 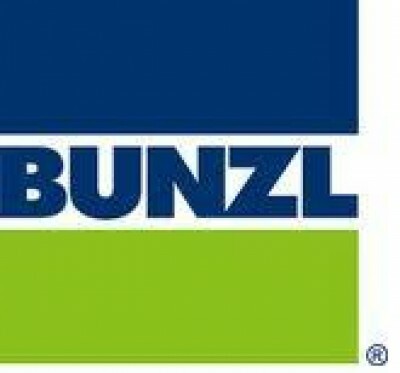 Bunzl Cincinnati, a distribution provider supporting the supermarket, food processing, retail and convenience store markets; and R3 Safety, a leading provider of safety products and service solutions, are relocating their existing Ohio operations to a 118,000 square-foot operation in West Chester. The new facility is located at 6021 Union Centre Boulevard (Union Centre/Downtown). Celsus Wine is a newly established importer of fine Italian wines for wholesale distribution to restaurants and not-for-profit organizations, and for email retail sales and delivery to consumers in Ohio. They have opened a new 3,960 square-foot location in West Chester at 9822 Windisch Road. Celsus Wine's mission is the selcetion of fine Italian wines for importation and sale in North American. The principals of Celsus Wine have selected, for introduction in 2010, three Celsus-branded wines with Quality Price Rations (PRV) that merit sharing them with wine aficionados in North America. Customers can sign up to become part of the Celsus Wine Club on the website. Chase Bank, a leading global financial services firm with operations in more than 60 countries, began construction on two new 5,240 square-foot branch offices in West Chester. The first branch is slated to open 3rd quarter of this year at 8100 Market Place Drive at the Villages of West Chester (Beckett). The second facility, located at 8115 Highland Pointe Drive (Midtown), is scheduled to open 4th quarter 2011. Cin-Day Wireless has opened a new 1,560 square-foot facility at 8115 Cincinnati-Dayton Road (Midtown). The wireless retailer offers services through Cincinnati Bell, T-Mobile and Boost Mobile. Cincinnati Arthritis Associates, specializing in patient-centered care for individuals suffering from arthritis, muscular-skeletal disorders, and immune-mediated inflammatory disease, announced it will open a 2,500 square-foot medical office at 7798 University Court in the University Pointe medical campus (Uptown). Cincinnati Arthritis Associates will offer onsite infusion therapy and be the first group of its kind in the region to offer ultrasound. The new location will open August 1st, 2011. Cincinnati Overstock Furniture & Mattress is an online store for discount, quality, new home furnishings. The new 16,089 square-foot store, located near I-75 & I-275 at 500 West Crescentville Road, offers near-wholesale pricing on home and office furniture (SR 747). Cincinnati Overstock is a family-owned-and-operated business committed to providing outstanding service and selection-all at a fraction of store prices. The company is closed Monday-Friday for online shipping. Customers can shop in the store on specific Weekend Warehouse Sale dates. Please visit their website for more information. Clark-Reder Engineering, a full-service engineering consultant firm, announced it will open a 1,600 square-foot facility at 4828 Business Center Way at Princeton-Glendale Road/SR747 and Crescentville Roads. Clark-Reder Engineering has 22 years combined experience in entertainment engineering, new building design, building renovations, and construction services. ComDoc, a document imaging solutions partner, announced it will open a 2,913 square-foot office at 9270 Centre Pointe Drive in the Centre Pointe Office Park (Downtown). ComDoc provides products, services, support and solutions to businesses of all sizes. ComDoc is slated to open in August 2011. Crossmark, a leading sales and marketing services company in the consumer goods industry, will open a 12,261 square-foot office at 9277 Centre Pointe Drive in Centre Pointe Office Park (Downtown). Crossmark is slated to open August 2011. Dayton Hydroponics, a garden supply company, opened a 7,384 square-foot facility at 4920 Provident Drive off Princeton-Glendale Road/SR747. Dayton Hydroponics offers indoor and organic gardening supplies, plant lighting, propagation equipment, fertilizer, pumps, greenhouses and more. Dr. Amy Brenner MD & Associates, a board-certified OB/GYN physician with 15 years of experience, opened a 1,997 square-foot medical office at 7593 Tylers Place Boulevard (Uptown). Dr. Brenner specializes in treating women for everything from birth control, pap smears, preconceptual care, incontinence, pelvic prolapse, hormonal issues associated with menopause, to minimally invasive gynecological surgery. E2 Merchandising Inc., a manufacturer of metal store displays and fixtures, opened a new 29,570 square-foot facility at 9706 Interocean Drive. 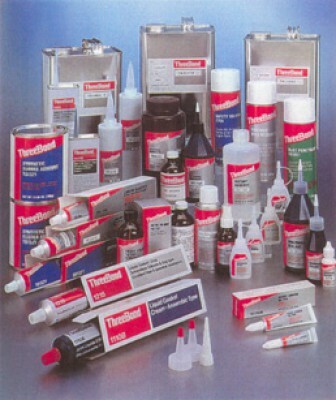 E2 Merchandising manufactures everything locally and sells displays nationally. They employ 20 people at this location. 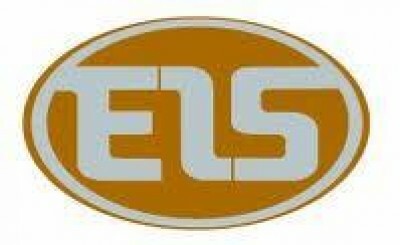 EIS, a North American distribution leader in process materials, production supplies and industrial motor repair products, is relocating one of its existing Ohio operations to a 10,400 square-foot facility at 9411 Meridian Way. EIS has 41 locations nationwide. Employers Choice Plus, a strategic business partner for payroll, workers’ compensation, health care selection and administration, retirement planning and tax reporting services, is expanding and relocating its existing office to a 9,302 square-foot facility at 7593 Tylers Place Boulevard, the former Mercy Health building (Tylersville/Uptown). Employers Choice Plus began as an Ohio-based Professional Employer Organization (PEO) and has evolved into a national TPA and benefits provider operating in more than 20 states. They provide a full array of cost-saving services from small to large businesses. ECP helps employers reduce risk while offering unsurpassed benefits and attractive group ratings for workers’ compensation, unemployment, health insurance and retirement programs. They will employ 25 people. ETS Direct, a motion picture film distributor, opened a 24,629 square-foot facility at 226 Circle Freeway. ETS Direct has 26 other locations nationally. the Centre Pointe Office Park will house another 300 employees bringing GE Aviation’s total employment in the township to nearly 2,000 engineers. In addition, GE Energy has leased just over 10,000 square feet in Centre Pointe Building 1. Geisha will open a new 6,745 square-foot facility at 7691 Voice of America Centre Drive in the old Johnny Carino’s location (Tylersville/Uptown). The new restaurant will serve sushi and other Asian cuisine and has carry-out available. There will be a full service bar and a party room that will seat up to 40 guests. The restaurant is scheduled to open by the end of January. 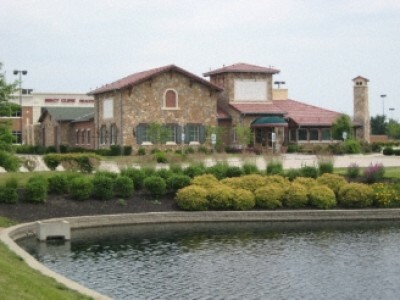 Home by Design, a multi-merchant shopping source for unique home furnishings including furniture, lighting, accent pieces, wall art, and special occasion gifts, has opened a new 4,065 square-foot location in the Tylersville Farm Retail Center located at 7740 Dudley Drive (Tylersville/Uptown). The Institute of Reproductive Health announced it will open a new 2,224 square-foot location at 7242 Tyler's Corner Drive in West Chester (Tylersville/Uptown). The Institute of Reproductive Health specializes in the complete care of the infertile patient. Jacks Driving School, providing teenage and adult driving instruction, announced it will open a 4,380 square-foot facility at 5900 West Chester Road (Downtown). Jacks Driving School offers a state certified course for teen drivers. The school will open early September 2011. Lennox Parts Plus, wholesale distributors for Lennox heating and air conditioning products, announced it relocated to a 12,000 square-foot facility at 4858 Provident Drive off Princeton-Glendale Road/SR747. Lennox Parts Plus provides furnaces, air conditioners, and many other HVAC system products. Logicalis, an international provider of integrated information and communications technology (ICT) solutions and services, has opened a new and expanded 12, 635 square-foot Logicalis Operations Center in 9277 Centre Pointe Drive in the Centre Pointe Office Park (Union Centre/Downtown). The new operations center reflects Logicalis’ continued growth and investment in cloud and managed services offerings. Based in the United Kingdom, Logicalis has annualized revenues of $1 billion, from operations in the UK, US, Germany, South America and Asia Pacific, and is fast establishing itself as one of the leading IT and Communications solution integrators, specializing in the areas of advanced technologies and services. The company currently has 54 employees at the West Chester location. M.E. Heuck Co., a kitchen supply company, has purchased the 110,000 square-foot facility located at 63386 Gano Road. M.E. Heuck plans to move into the new facility during the first quarter of 2011. The building will serve as warehouse and office space for the 25 employee company. M.E. Heuck has a product line of more than 500 separate items designed to improve the American kitchen. Master K. Kim’s World Class Tae Kon Do has opened a new 1,300 square-foot location at 7610 Cox Lane (Tylersville/Uptown). Master K. Kim’s World Class Tae Kon Do offers exciting martial arts programs for children, adults and families. Midwest Industrial, a Komatsu Fork Lift Truck dealer, has opened its second Ohio location at 9663 Glades Drive. Operations at the 10,000 square-foot facility include sales, service, parts and rental of Komatsu brand fork lift trucks. Mitel, a global provider of business communications and collaboration software and services, is relocating its existing West Chester facility to a new 3,476 square-foot location in the Town Centre Square building located at 9100 West Chester Town Centre Drive (Union Centre/Downtown). Mitel provides advanced communications and collaboration capabilities for any phone network device. They currently operate from over 80 offices in over 90 countries and employee 15 at the West Chester location. MVP Performance Enhancement & Sports Acceleration, a sport specific personalized high performance training facility, just expanded its existing West Chester location to 4,200 square-feet at 7060 Ridgetop Drive next to Fitworks at the Highlands Retail Center (Cincinnati-Dayton/Midtown). MVP’s program implements individual functional training methods with a focus on fitness and sports performance. Once Upon a Child is relocating its existing West Chester business to a 5,204 square-foot space at 8142 Princeton-Glendale Road in the former Steinmart location (SR 747/Beckett Ridge). Once Upon a Child offers parents a fun and convenient way to buy and sell gently used kids stuff, making saving money on children's clothes, toys, baby furniture and equipment a reality every day. Once Upon a Child focuses on quality, safety, and value. Package Design & Manufacturing (PDM) just expanded its existing West Chester facility at 4740 Interstate Drive. PDM has been solving customers packaging needs for more than 20 years and can confidently assist with all your packaging requirements, including design and engineering of unique cost effective protective packaging. Paint By The Glass opened its first location at 8179 Princeton-Glendale Road (SR 747/Beckett Ridge). This 1,213 square-foot facility offers a unique social experience for those with little to no experience as an artist. 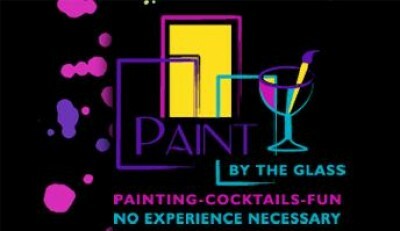 Paint by the Glass was created to provide everyone with an opportunity to explore their own creativity and talents. Hors d' oeuvres are also included and it's always Happy Hour at Paint by the Glass! Parker Aerospace, specializing in the design and build of support systems and components for the aircraft industry, leased a 1,366 square-foot facility at 9050 Centre Pointe Drive in Centre Pointe Office Park (Downtown). Patio Enclosures, the largest manufacturer and installer of sunrooms and solariums in the industry, is relocating its existing West Chester location to a 7,130 square-foot facility on 6031 Schumacher Park Drive. Patio Enclosures has been building and creating beautiful living spaces since 1966. Knowledgeable, helpful Design Consultants are on hand to assist you with designing a sunroom, solarium, or conservatory that fits your home, lifestyle and budget. Plato's Closet, specializing in buying and selling the latest looks in brand name gently used clothing and accessories, is relocating its existing West Chester business to a 5,204 square-foot space at 8140 Princeton-Glendale Road in the former Steinmart (SR 747/Beckett Ridge). The business is expanding to a 5,204 square-foot facility. Plato's Closet carries a huge selection of trendy, designer styles as well as those every day basics. Quench, Inc., a bottleless water cooler distributor, has relocated its existing sales and distribution office to 4,000 square-feet at 4860 Duff Drive (SR 747). Quench is an industry leader in bottleless water coolers for over 15 years and is working to rid the planet of bottled water one cooler at a time. R&R Tool, Inc., a contract machining company specializing in medical component manufacturing, opened a 2,303 square-foot facility at 9964 Crescent Park Drive in Schumacher Commerce Park (Downtown). RAM Construction Services, a specialty construction contractor for new building construction and the restoration of existing buildings, opened an 11,762 square-foot facility at 4710 Ashley Drive of Princeton-Glendale Road/SR747. Ram Construction Services specializes in commercial, industrial and institutional new construction and restoration. 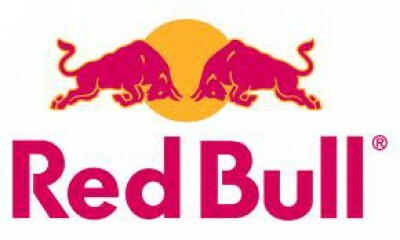 Red Bull is relocating its existing West Chester marketing distribution operation to a 4,000 square-foot space in The Pointe at Union Centre. Red Bull Distribution Company, the largest distributor in North America of Red Bull products, has opened a new 27,390 square-foot distribution center at 7406 Union Centre Boulevard (Union Centre/Downtown). This location will serve both the Greater Cincinnati and Greater Dayton areas. Red Bull will have 30 employees at this new location. Safe Ship, a full service packing and shipping store, opened a new 1,300 square-foot location in the Tylersville Corner shopping center located at 7753 Cox Lane (Tylersville/Uptown). Safe ship allows customers to compare all carries- UPS, FedEx, the US Postal Service and more- to get the best price for all shipping needs. SAIA Motor Freight, a LTL carrier, has opened a new 4,555 square-foot maintenance shop at 10034 Cincinnati-Dayton Road (Midtown). Salon Lofts, a community of independent salon owners, is opening its third Greater Cincinnati location in the Tylersville Farm retail center located at 7750 Dudley Drive (Tylersville/Uptown). The new 2,993 square-foot facility will support 25 stylists, nail technicians, and massage therapists and will open at the end of May. Sebaly Shillito + Dyer, a Dayton, Ohio law firm, opened a temporary office on November 1, at Office Suites Plus, 9075 Centre Pointe Drive, in the Centre Pointe Office Park (Union Centre/Downtown). The firm has three main departments: Corporate Law, Litigation, and Estate Planning. Service Express, a data center maintenance solutions company, has relocated to a 3,616 square-foot facility at 10004 International Boulevard. Service Express specializes in flexible maintenance programs for mission critical servers and systems. Sharp Business Systems, specializing in business-to-business technology, digital signage, print management hardware/software, and copier and scanner sales and service, announced it will open a 6,600 square-foot facility at 9031 Meridian Way in Duke Realty's World Park at Union Centre (Downtown). Simplex Grinnell, providing a comprehensive array of fire alarm, fire sprinkler, fire suppression, integrated security, sound and healthcare communications systems and services, relocated its existing West Chester business to a 21,115 square-foot facility at 9685 Cincinnati-Dayton Road in Schumacher Commerce Park (Downtown). 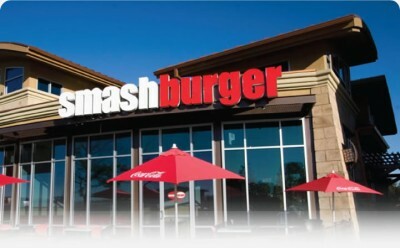 The first Smashburger in the Cincinnati market opened in West Chester on December 18. The new 1,641 square-foot facility is located at 7598 Cox Lane, across from the VOA Shopping Center (Tylersville/Uptown). The new restaurant offers burgers and smashfries, smashchicken sandwiches and signature salads, veggie frites and haystack onions, Häagen-Dazs shakes and bottled beer and wine. 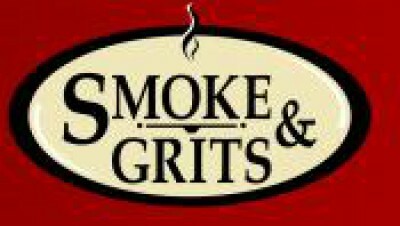 Smoke & Grits, specializing in southern cuisine favorites such as smoked barbeque ribs, friend chicken and pulled pork sandwiches, opened a new 2,336 square-foot restaurant at 9104 Cox Road (Route 42). Smoke and Grits is open now for lunch and dinner and offers a full service bar. The new salon, located at 8179 Princeton-Glendale Road, celebrated its grand opening December 4th (SR 747/Beckett Ridge). 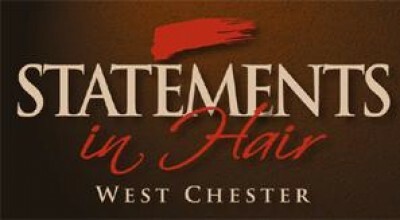 Statements Salon has a staff of top hairdressers who offer a variety of services including cutting, coloring, perming, relaxers, and facial waxing. Nail Techs offer manicures and pedicures. SushiMonk, specializing in free-style Japanese dining by Chef Tam, opened a 1,050 square-foot restaurant at 8268 Princeton-Glendale Road/SR747 (Beckett). Chef Tam specializes in Japanese cuisine and offers sushi cooking classes in his restaurant or at your home. The Cellular Connection, a Verizon Wireless provider, announced it will open a new location at 9414 Civic Centre Boulevard in The Streets of West Chester lifestyle center (Union Centre/Downtown). The new 2,488 square-foot facility will open in late January 2011. The Kids Domain, a new child care provider for children ages 6 weeks to 12 years, opened its first location at 8633 Cincinnati-Columbus Road (Route 42). The Kids Domain is a 3,200 square-foot facility and is open six days a week from 6 a.m. to 10 p.m. during the week. 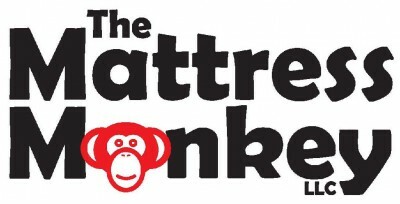 The Mattress Monkey, a locally owned and operated mattress retailer, opened its first location in the Beckett Center located at 8095 Beckett Center Drive (Beckett). The new 1,400 square-foot operation is an authorized Termpur-Pedic and Bed Boss retailer. The Village at the Streets of West Chester, a new townhouse condominium development adjacent to The Streets of West Chester retail complex at Union Centre Boulevard and I-75, nears completion on the first six units of this unique residential community. 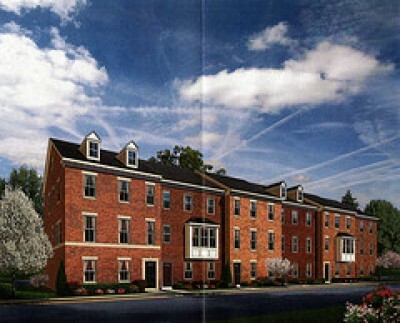 The two-story brick townhomes with attached garages are located in this new lifestyle community within walking or biking distance of the nearby Streets of West Chester shopping, dining and entertainment venues. The Village at the Streets is centrally located offering easy access to many major thoroughfares and two interstates. The first phase of this new residential development will include 12 buildings, with 60 new townhouse condominiums. Schumacher Schwartz is the developer for this project and Ryan Homes is the builder. Two Men and A Truck, an international moving company, is opening a new 1,500 square-foot location at 7747 Tylersville Road (Tylersville/Uptown). The company sells moving boxes and packing supplies and will service residential and commercial customers. West Chester Activity Center, located at 7900 Cox Road (former library), is NOW OPEN! Operated by Partners in Prime, the center features prime club (senior center) activities during the daytime and activities for all ages during evenings including hip hop dance classes, Zumba and other fitness activities. Partners In Prime is dedicated to enhancing the lives of people 55 and better to reach their personal best– their prime. The non-profit agency is a 501 (c)(3) organization in the State of Ohio, and is partially funded by the Council on Aging of Southwest Ohio, Butler County Elderly Services Program, Butler County United Way and donations from individuals in the community. Winstel Controls, specializing in wholesale plumbing, HVAC, and electrical parts and equipment, relocated its headquarters to a 12,000 square-foot facility at 10126 Transportation Way off Crescentville Road. 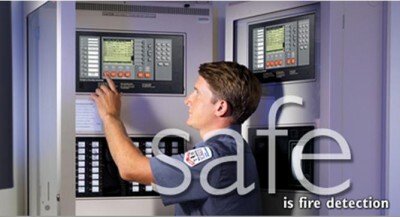 Winstel Control’s serves residential, commercial and industrial customers with its three Cincinnati area locations. Wornick Foods, a leading supplier of convenience foods and military rations to institutional customers including the U.S. government and other large Consumer Product Goods companies, has relocated to 5273 East Provident Drive, a 150,000 square-foot facility. XGS.IT, a print management company, is relocating an existing office to a new 5,400 square-foot facility in The Pointe at Union Centre, 5313 Muhlhauser Road (Union Centre/Downtown). XGS.IT specializes in supporting print devices with consumables, replacement parts and proactive device monitoring. They currently have 10 employees. Zegarski Law, specializing in bankruptcy and debt reorganization, has opened a new office location at 8080 Beckett Center Drive in the CMC Beckett Office Center (SR 747/Beckett Ridge). A-T Controls, manufacturer of valve control products, announced it will relocate its corporate headquarters to a 122,120 square-foot facility at 9955 International Boulevard off Muhlhauser Road. A-T Controls designs, develops and manufactures valves, actuators and a full line of valve control products. Antenen Research Company, specializing in buying, selling and rebuilding new and used industrial robots, relocated its existing West Chester business to a 25,000 square-foot facility at 9910 Charter Park Drive in Schumacher Commerce Park (Downtown). Antenen Research has more than 20 years of experience and a strong base of satisfied customers. Asian Treasure Restaurant, featuring Asian cuisine, announced it will open a new 1,892 square-foot restaurant at 8179 Princeton-Glendale Road in West Chester Village Retail Center (Beckett). Blue Frog Yogurt, a self-service yogurt store, opened a 1,400 square-foot facility at 7602 Cox Lane (Uptown). Cameo Solutions, a leading converged network provider in the communications industry, leased a 6,800 square-foot facility at 9990 International Boulevard off Muhlhauser Road. Cameo Solutions specializes in products and services for the IP Contact Center market. Cardinal Health Nuclear Pharmacy, radiopharmacy service provider, leased an 8,754 square-foot facility at 9864 Windisch Road (Downtown). Cardinal Health Nuclear Pharmacy starts with the Unit Dose System and offers a variety of value-added services, including safety solutions, department management, operational excellence, professional consultation, and IT solutions for nuclear medicine departments or clinics. Cardinal Health has three West Chester locations. Cincinnati Auto Works, a Greater Cincinnati import sales and service specialists, opened a 10,000 square-foot facility at 9516 Princeton-Glendale Road/SR747. Cincinnati Bell Wireless, specializing in the retail sales of mobile phones and accessories, announced it will relocate its existing West Chester business to a 1,935 square-foot stand-alone facility at 7731 Tylersville Road (Uptown). Comprehensive Post Acute Network (CPAN), a provider-owned network of skilled nursing facilities, relocated its existing West Chester business to a 6,960 square-foot facility at 8200 Beckett Park Drive off Princeton-Glendale Road/SR747 (Beckett). CPAN is an Ohio provider network specializing in contract access and case management services for the nursing industry. East Meets West Buffet & Grill, a new buffet-style restaurant, opened its nearly 10,000 square-foot facility at 7760 Dudley Drive (Uptown). The restaurant features solid granite tables and buffets, hand-painted murals and more than 300 food items on its 11 buffets. The cuisine ranges from American, Italian, Seafood, Japanese and features many traditional Hong Kong-style Chinese dishes and hibachi-grilled selections. Fameccanica NA, Inc., equipment suppliers for the hygienic disposable absorbent converting industry worldwide, announced a 4,000 square-foot expansion to its existing U.S. headquarters in West Chester facility at 5207 Muhlhauser Road. Fameccanica has 15 employees. H & Y Cabinets and Granite Depot, featuring wholesale and retail cabinetry, opened a 12,630 square-foot office and warehouse facility at 9850 Princeton-Glendale Road/SR747. H & Y Cabinets and Granite Depot offers design and installation services for cabinets and countertops. Hern Marine Distributors, premier boat dealer specializing in the sales and service of new and used boats and accessories, opened a 42,794 square-foot warehouse facility at 147 Circle Freeway Drive of Crescentville Road. Hern Marine has been serving the tri-state area for more than 61 years. Kalamatas Greek Grill, specializing in a full menu of Greek cuisine, opened a 1,528 square-foot restaurant at 7690 Voice of America Centre Drive (Uptown). Marlin & Ray’s Seafood Bar & Grill, a full-service seafood restaurant, opened a 6,870 square-foot facility in the former Ruby Tuesday building at 7701 Voice of America Centre Drive (Uptown). Massage Envy, a national company providing affordable massage and spa services, opened a 4,700 square-foot spa at 7639 Voice of America Centre Drive in the VOA Centre (Uptown). MultAlloy Steel (formerly Southwest Stainless), an industry leader in stainless steel products for more than 30 years, leased a 177,234 square-foot facility at 5443 Duff Drive. MultAlloy Steel specializes in providing critical products that are cut, sized and prepared precisely to specification with minimal preparation and delivery time. MultAlloy’s West Chester facility has approximately 15 employees. Oasis Nail & Spa, specializing in nail and spa services, announced it will open a 1,275 square-foot spa at 7843 Tylersville Road in West Chester Plaza (Uptown). Orange Leaf Yogurt, featuring a wide variety of frozen yogurt products, opened a 1,311 square-foot store at 7736 Dudley Drive (Uptown). Panda Express, specializing in gourmet Chinese food, began construction on a new 2,535 square-foot restaurant at 7939 Tylersville Road (Uptown). PowerStep, providing ready-to-wear orthotics, leased a 25,250 square-foot warehouse facility at 8930 Global Way off Beckett Road (Downtown). Prudential One Realtors, a full-service real estate office, relocated its existing West Chester business to a 5,725 square-foot facility at 7311 Tylers Corner Drive (Uptown). Prudential One Realtors has 26 employees ready to assist with all your real estate needs. Quality Associates, a leader in the contract packaging industry, leased a 205,761 square-foot facility at 9842 International Boulevard off Muhlhauser Road. Quality Associates is a packaging company providing project management, design, and fulfillment operations for a complete supply chain system. Shepherd Color Company, a fourth-generation, family-owned business dedicated to being a world-class producer of Complex Inorganic Color Pigments, leased an additional 60,725 square-foot building at 4300 Dues Drive. Shepherd Color Company’s North American headquarters is also located on Dues Drive, where an 8,867 square-foot expansion was completed in 2010. Shepherd Color supplies millions of pounds of high-quality pigments annually to customers around the world. Stampers Blinds Factory, a one-stop source for interior design and home décor needs, opened a 1,560 square-foot facility at 8115 Cincinnati-Dayton Road (Midtown). The Stamper family has been serving the tri-state area for nearly 20 years with a full line of Hunter Douglas custom window coverings. Varo Engineers, a full-service engineering and design firm with over 60 years of experience serving the industrial manufacturing and power generation markets, leased a 6,080 square-foot facility at 6039 Schumacher Park Drive in Schumacher Commerce Park (Downtown). Varo Engineers has 10 employees at its West Chester facility. West Chester-Liberty Chamber Alliance, the region’s fourth largest Chamber of Commerce, relocated its existing West Chester business to a 5,796 square-foot facility at 8922 Beckett Road (Downtown). The Chamber represents the interests of more than 800 member businesses. Wireless Express, retail provider of Sprint mobile phones and accessories, opened a 1,310 square-foot facility at 9328 Union Centre Boulevard in the US Bank Centre building (Downtown). Yeager’s Automotive One, a full-service automotive service center, relocated its existing West Chester business to a 7,268 square-foot facility at 8318 Beckett Park Drive near Smith and Princeton-Glendale Roads (former Ohio E-Check facility).